Scrolling through my dashboard of posts, I may be one of the few to not have a traditional Vday post here. Our mantel got a little sprucing / switcheroo for a post holiday winter look. Recently I found two Atlas mason jars at a thrift shop, and then a Ball mason was from Junk Salvation. 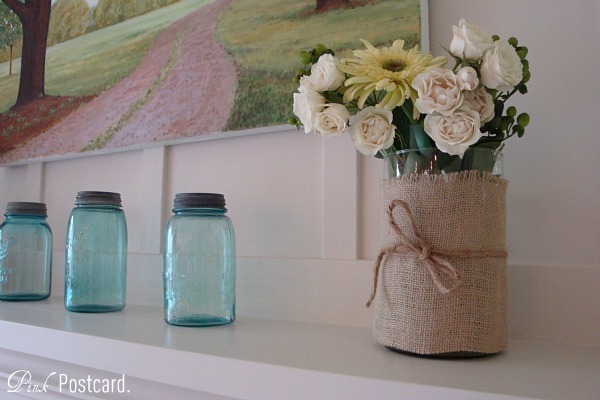 We have a couple vases that I wrapped in burlap and then filled with white flowers from Trader Joes. I'd like to start adding in some candles as the flowers begin to fade. On a personal note, we had such a wonderful visit over the weekend with my friend Jenny, her husband Andy, and their adorable little guy, Charlie. They were here for a gallery showing of Andy's art at the university we graduated from. He is very gifted- you can see his website by clicking here. We miss them so much already! 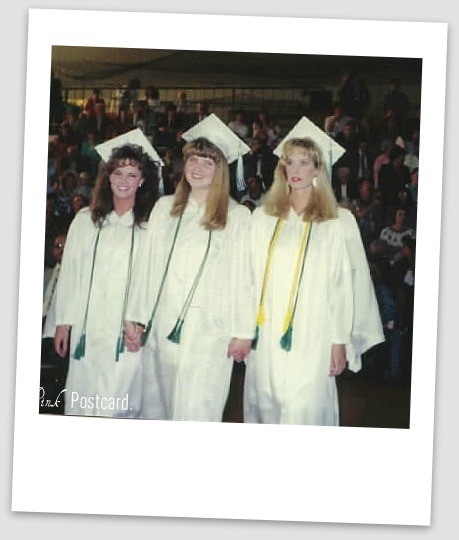 Jenny and I have known each other since we first met in kindergarten. She gave me the nickname of DD Dingaling in Jr. Hi. Hers was JJ Jackson. She has been a part of so many milestones in my life. ...we were even married 20 years ago, one month apart! She has an amazing singing voice and I was fortunate to have her sing in our wedding. A great weekend of laughing, eating, and memories! We don't get to see them as often as we'd like, but we sure have fun when we're together. It's rare to find couples that both you and your spouse have such a great time together with. Love you so much JJ! Thanks for letting us host you!! 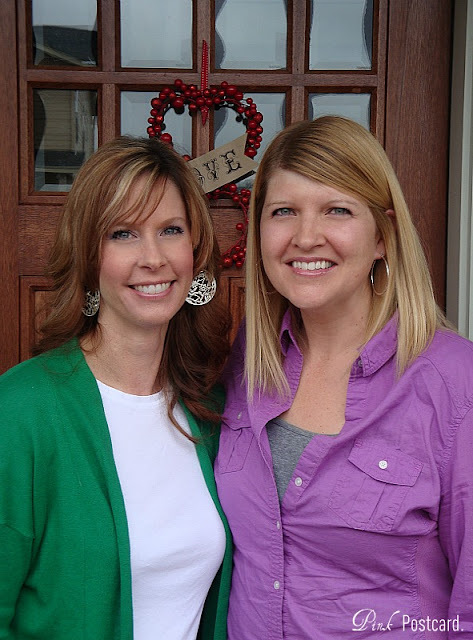 Girlfriends -- especially ones you've known forever -- are the best. 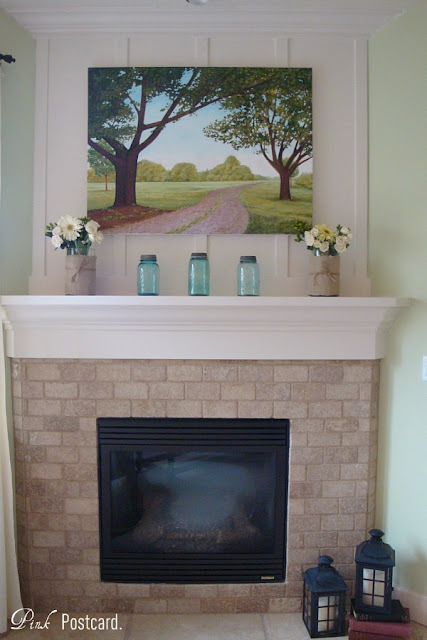 I love the paining over your mantel! thanks so much!! The painting is something I commissioned my dad to do for us, specifically for our mantel. I just love it- it reminds me of one of our favorite local parks. What a sweet post on friendship! Happy Love Day. Your mantel looks wonderful! I love the simplicity of your mantel and that painting is beautiful! 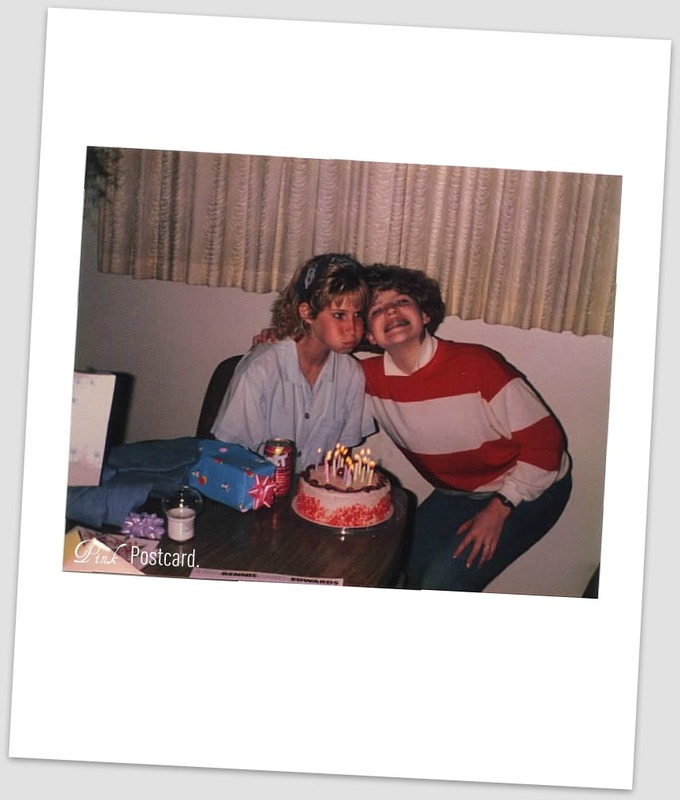 You are so lucky to have such a special friend in your life! Awwwww, there is nothing like a best girlfriend. 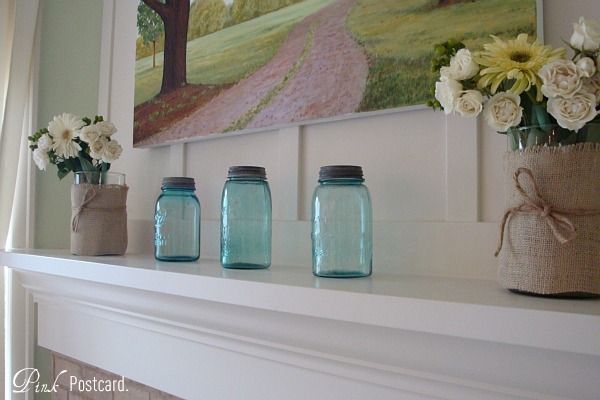 I absolutely LOVE the painting over your mantel, it all looks so cute with the mason jars! how fun to have had the same friend for so long...you are both so cute in all the pictures! love your mason jars too of course! !